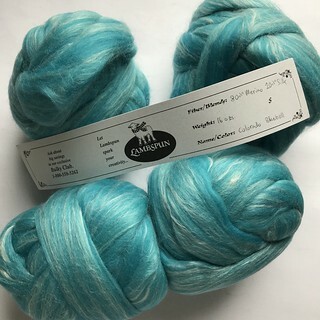 I’m participating in my first ever fiber swap via a Facebook group I joined about a month ago, Fiber Artists and Yarn Spinners. I have 2 swap partners, one sending me something and one I’m sending something to. I have another 2 weeks (I think) to send something, but my sending partner messaged me yesterday to say she’s mailing my package out on Monday. Eek! 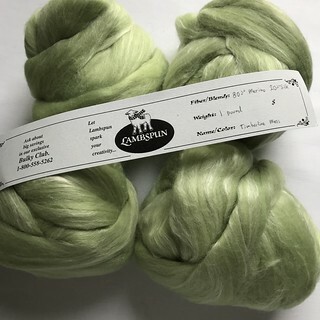 I don’t want to get and open my package without have sent one, so after seeing another post about rolags in the group, I decided to give that a go instead of just making a batt. 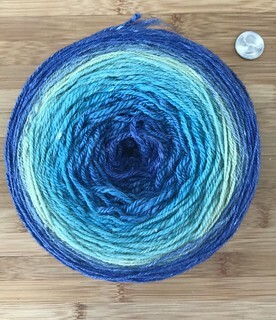 I watched a few youtube videos (this one and this one) before getting sidetracked (with videos on using a diz) and today made my first rolags. I think they turned out pretty well. 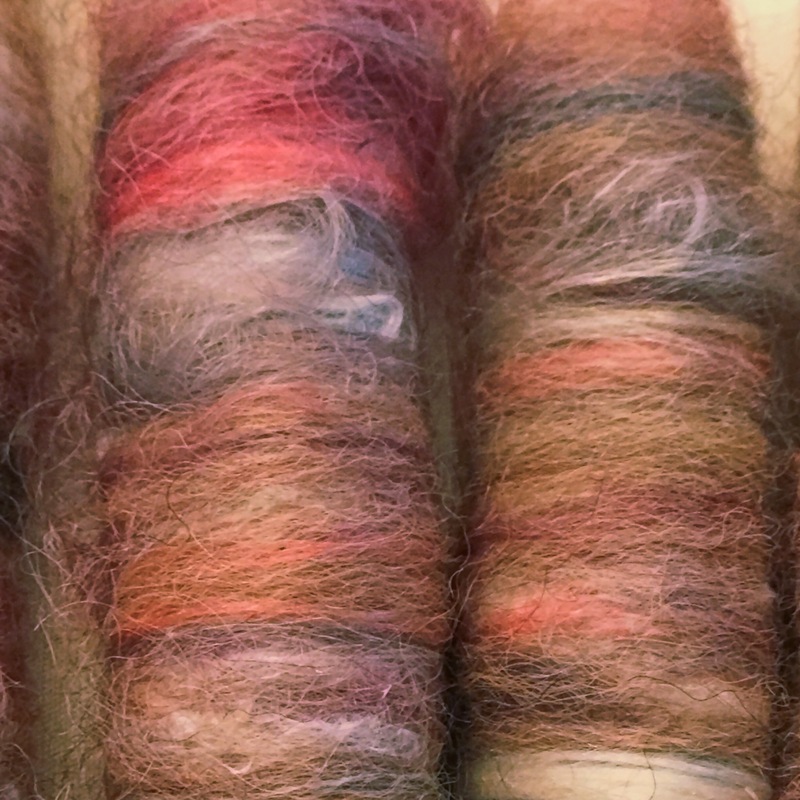 I need to get a rubber doorstop or something else to keep my drum carder from turning too easily; I had a hard time drafting the rolags. 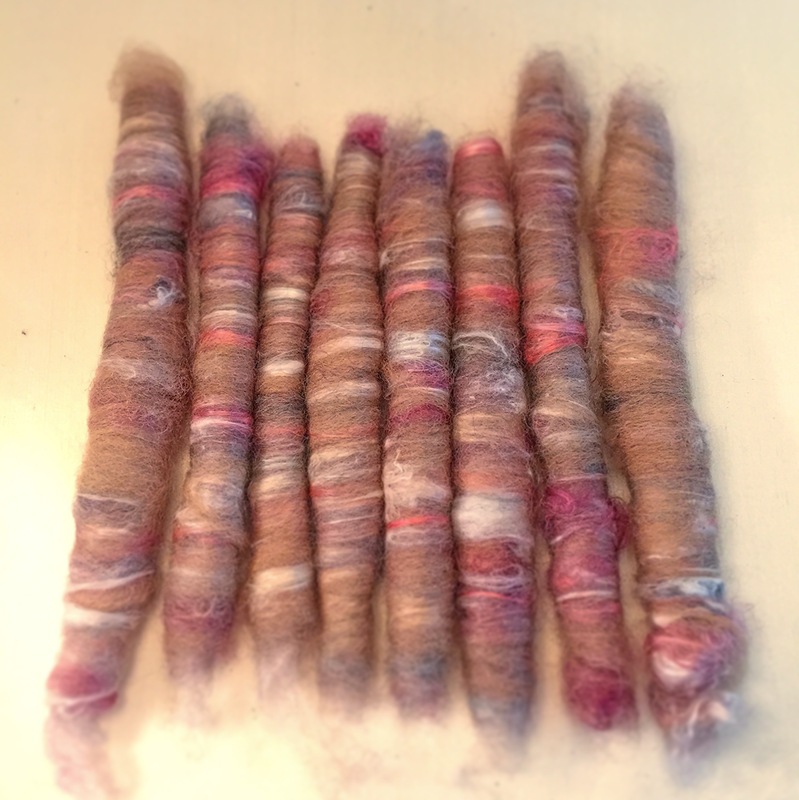 I also suspect I may have loaded the carder up with too much fiber. 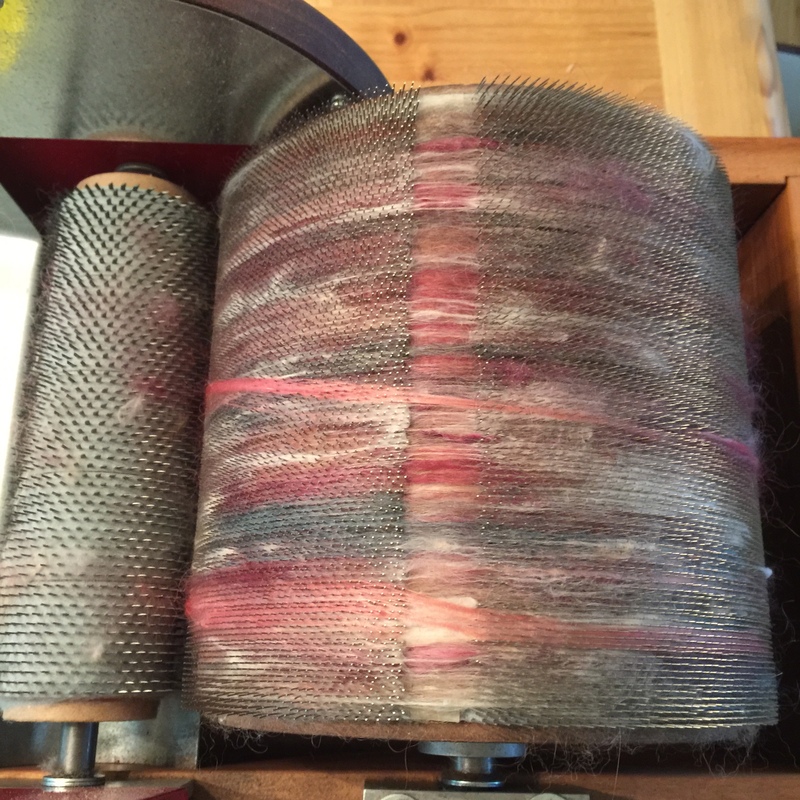 I have a Strauch anniversary edition405 Series Drum Carder which I’ve loaded up with 100g (3.5oz) and more (probably). 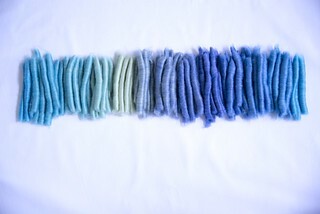 I laid out 84g total of alpaca (32g), cotswold(34g), silk (4g), and angora (10g). 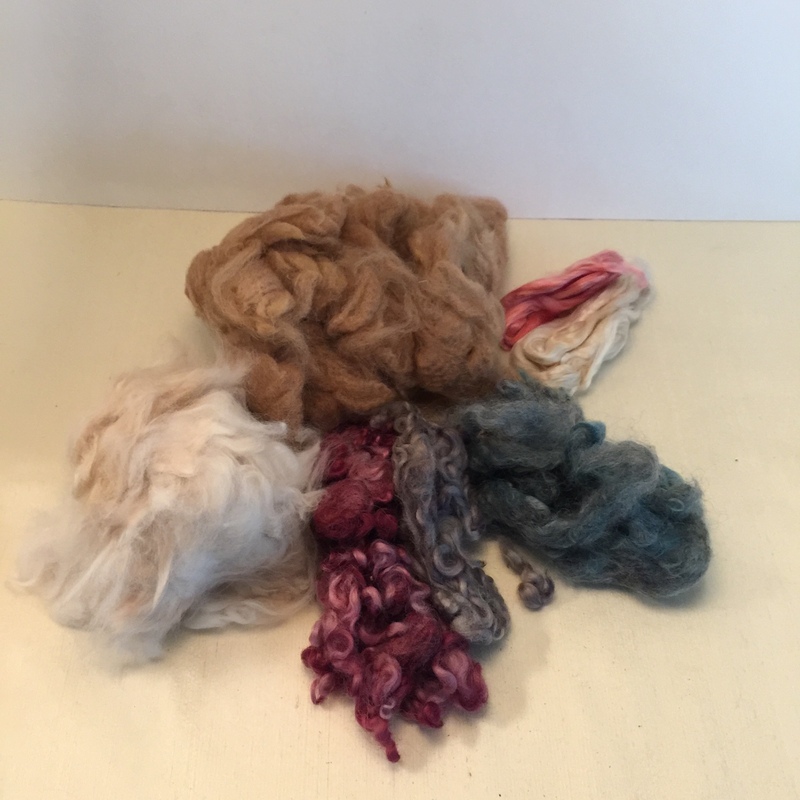 But I only used 68g total, leaving some angora and alpaca left over. 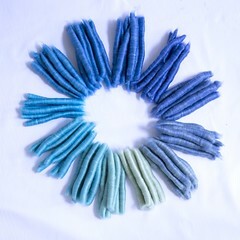 Probably next time around I’ll shoot for 50g total or less for rolags.